Check that the terms are written in a clear and transparent way, using plain language. If they aren’t, go elsewhere. In twenty-first century Australia, there’s no place for terms that are written in legalese. This is a contract for thousands of dollars of your money and, at the very least, the terms should be clearly written. Look for clauses that lay out any circumstances where you may have to pay above the agreed price. For example, do you have to pay extra for meter replacement or reconfiguration? If you haven’t had a site inspection, this is really important – it’s highly likely that when the solar installers rock up, they’ll find things that create work for them above what the sales guy on the phone has accounted for (for example, switchboard modifications). Check how you have to pay, how much the deposit is (don’t pay more than 10%) and when the balance will be payable. Check your rights to end the agreement if the installation is seriously delayed. The solar installer will usually have to do a more detailed design once the contract is signed. Check that you can get a refund of your deposit if the final system design they provide is significantly different from the one quoted when you signed the contract. Check what happens if the installer can’t get permission from your DNSP (your electricity network) to connect the system to the grid. This needs to be done before any work starts – and if they don’t get permission, you should be able to get your deposit back while you consider your options. Check for a clause that says the installer can switch the agreed brands of solar panels or inverters for ‘equivalent’ ones if they’re out of stock. If you find a clause like this, do not sign. It’s a trick used by cowboys to quote for good brands and install junk. Check for a clause that insists on an ‘annual inspection’ to maintain your warranties. This is BS and violates your rights under Australian Consumer Law. Finally, look for a clause similar to this in the small print: ‘[The company] accepts no responsibility whatsoever, in the event that the performance of the PV System is lower than predicted.’ I pulled that from ACTEW AGL’s contract for solar sales. Don’t stand for it. The company should do everything they can to help you if the performance of the system is substantially different from what they promised. A good soalr installer or salesperson will talk you through the contract and carefully highlight any terms that may result in delays or extra costs. If they make any assurances or promises that are not openly stated in the written contract, ask them to write them on the contract. All verbal promises are ‘express warranties’ under Australian Consumer Law and the company has to honour them. Once you’ve chosen a solar quote, only sign it when you’re 100% sure about what you’re getting, when it will be installed, and how long it will take to have your meter changed over. You won’t be able to switch on your solar power system until that last step happens. If, at any point, you feel pressured into signing something – don’t. A good installer will not pressure you to sign their contract. Familiarise yourself with the five types of solar installers. Avoid the cheap crap and the super-expensive rip-offs. Avoid unsolicited door-knockers at all costs. Getting three quotes is a good way to protect yourself. The Clean Energy Council’s Approved Solar Retailer Scheme is different from its Accredited Installer scheme. In my opinion, the Approved Solar Retailer scheme is excellent and takes most of the risk out of buying solar. You’re highly unlikely to go with a bad ’un if you choose a company on the approved retailer list, and you’ll almost certainly end up with a well-installed, quality system. Just keep in mind that because of the low enrolment rate, you’re likely to pay a little more, have a narrower choice, and have to go a little further afield than if you choose to include installers who aren’t on the Clean Energy Council-Approved Solar Retailer list. The Smart Energy Council’s Master Installer scheme is a lower bar – but it’s still a good sign that the installer cares about their industry. There are lots of ‘get three quotes for solar’ websites. Don’t get the many copycat sites confused with the only two I recommend: solarquotes.com.au (which I own) and solarchoice.net.au (the only other site I would advise a friend to look at). I strongly recommend using solar installers who will do a site inspection as part of their quote. 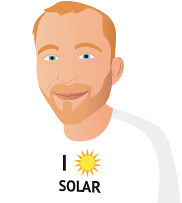 A comprehensive quote with detailed savings predictions and transparent assumptions is a sign of a professional solar company. Always look at the terms and conditions attached to the quote.